Ludowici – Louise Mildred Faga, 93, passed away Sunday, December 2, 2018 at Coastal Manor Nursing Home. A native of Winchester, MA, she had lived in Long County since 2014. She had worked several years as a private duty caregiver and was a homemaker. 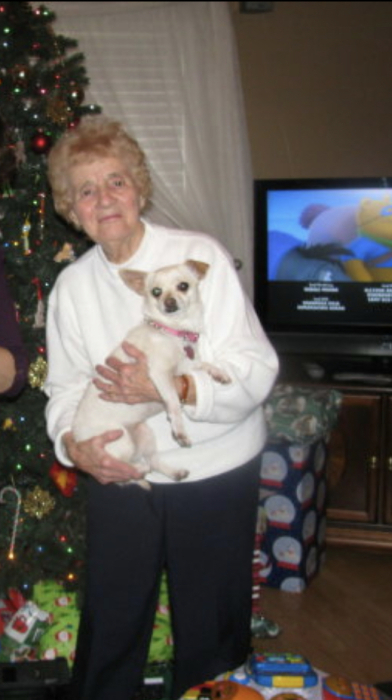 Louise was an animal lover and an avid hockey fan. While at Coastal Manor she had a tenacious will to help other residents. She was a member and past Grand Matron of Order of the Eastern Star and a member of Crawford United Methodist Church in Winchester. She was preceded in death by her husband, Joseph Faga. Survivors are her daughter and son-in-law, Suzanne Tenney and Brad of Ludowici; grandchildren, Brad Tenney and Sunita of Springfield, VA, Kristine Shahine and Bradley of Porter Ranch, CA, and Katelyn Wells and Robert of Ludowici; great-grandchildren, Shannon, Ethan, Coco, Wyatt, and Olivia; several nieces and nephews. Funeral services will be Saturday, December 8 at 11 AM at the Howard Funeral Home chapel with Rev. Dr. Tony Caldwell officiating. Remembrances are suggested to Wounded Warrior Project.